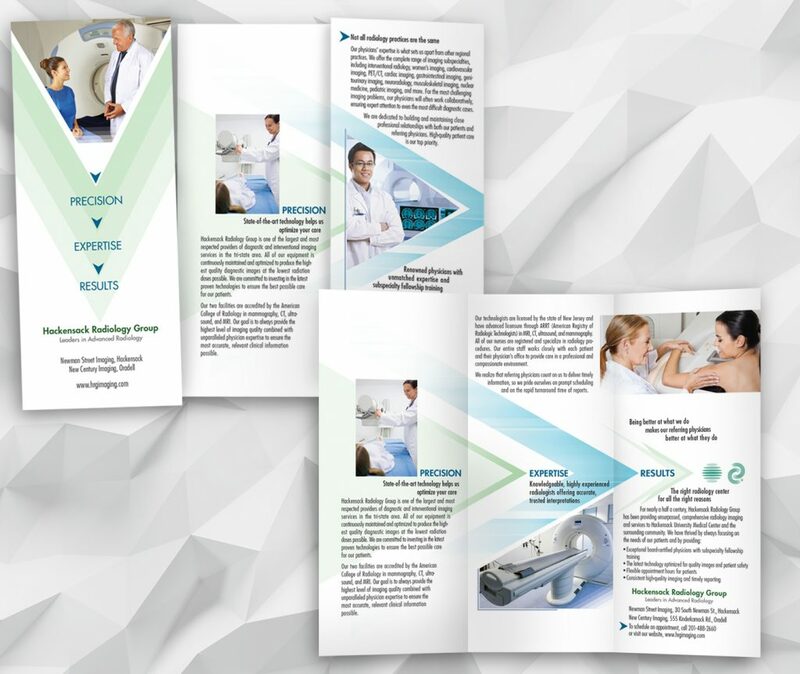 The purpose of the brochure was to brand Hackensack Radiology Group with a clear and unambiguous identity. Many of the radiology practices in the area offer the same services, so it was important to differentiate the practice by emphasizing the superior training of their physicians and the level of accuracy that come with having the latest technology. It was also critical to make referring physicians and patients aware that not all radiology practices will offer the same precision as Hackensack Radiology Group.